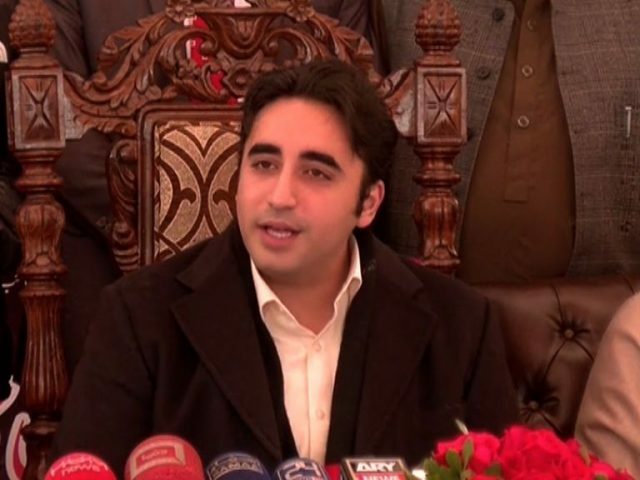 An unmitigated witch-hunt of opposition members is being carried out in the name of accountability, said PPP Chairperson Bilawal Bhutto Zardari. He was addressing party workers via video link in Lahore on the grandfather’s 91st birthday. Zulfikar Ali Bhutto, the founder of PPP, was born on January 5, 1928. “Forty-one years have passed since my grandfather’s judicial murder. It is shameful the way our country’s justice system has failed him,” he remarked. Bilawal said that the lasting legacy of Zulfikar Ali Bhutto shall continue as long as there is injustice in the society. The PPP chief criticised the ruling PTI and remarked that it was “brought into power”. He remarked, “We are entering the worst era of authoritarianism. We did not fight to have a sham democracy, which is totalitarianism in disguise,” he remarked. PPP will continue to fight the threat to its liberties. Bilawal thanked the workers for standing with Benazir Bhutto in the fight against the dictatorial regimes of Ziaul Haq and Pervez Musharraf.